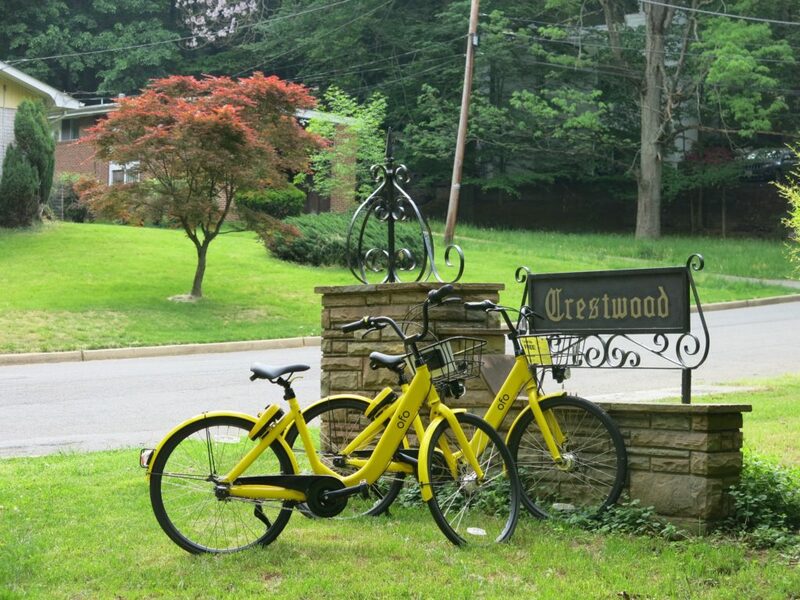 “Looks like Ofo and Mobike are out for good, Lime bikes have been replaced by scooters, and there’s no Spin bike anywhere. Looking at the aggregate map on Transit, all that’s left are Jump bikes. Thanks to Amanda for sending from Woodley Park. Here’s to hoping everyone gets their water back soon. Smoke ’em if you got ’em and have a great weekend! 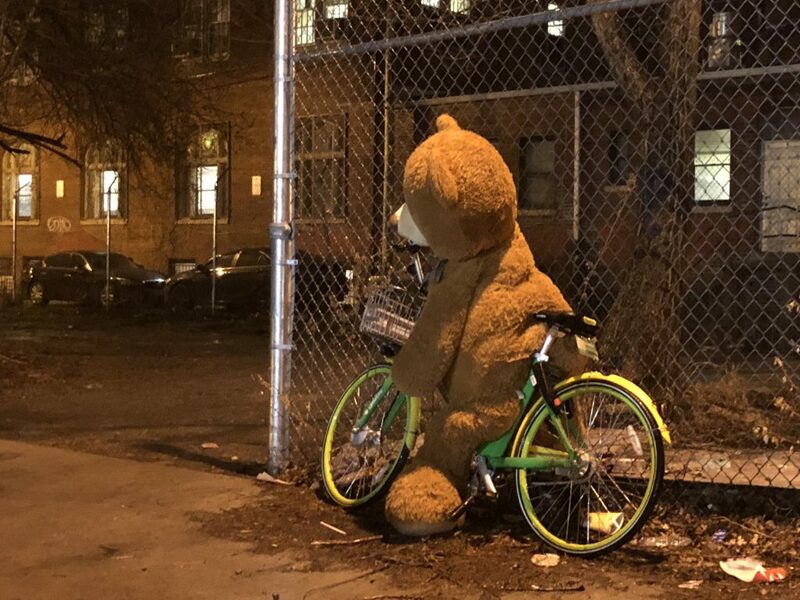 Where Have All The Dockless Bikes Gone? This question has been bothering my husband and I for weeks. 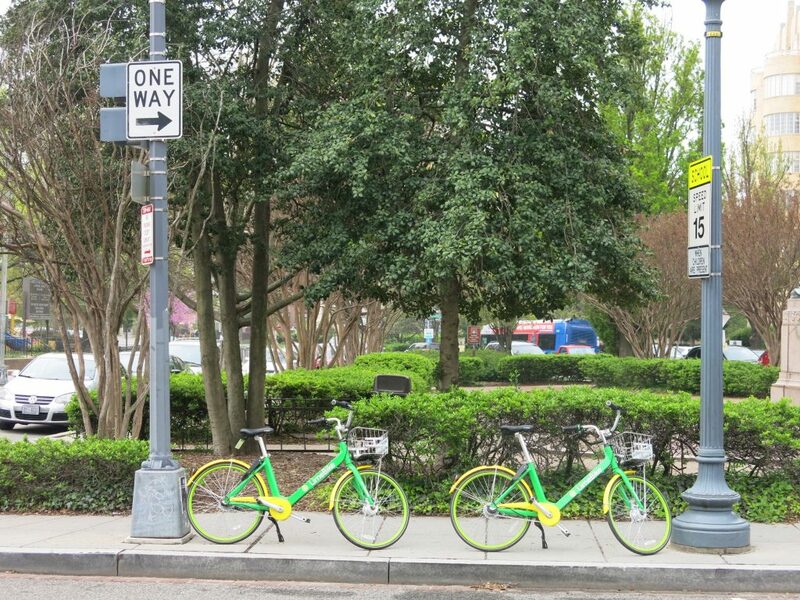 While I know many are not fans of the dockless bike systems (limebike, ofo, etc) we both were. We don’t have space to store bikes and we loved being able to pick them up anywhere around our house in Dupont and drop them anywhere. So now the question, where have they all gone? It feels as if they have all been replaced by scooters but we are not in the market to be “scootbros”. We just want to be able to grab bikes at random around the city again, it felt like such a tease. Do you by chance know what happened with them? Is it just me or are they all being replaced by scooters? You are right!! I can’t find it, (can anyone? Textdoc? 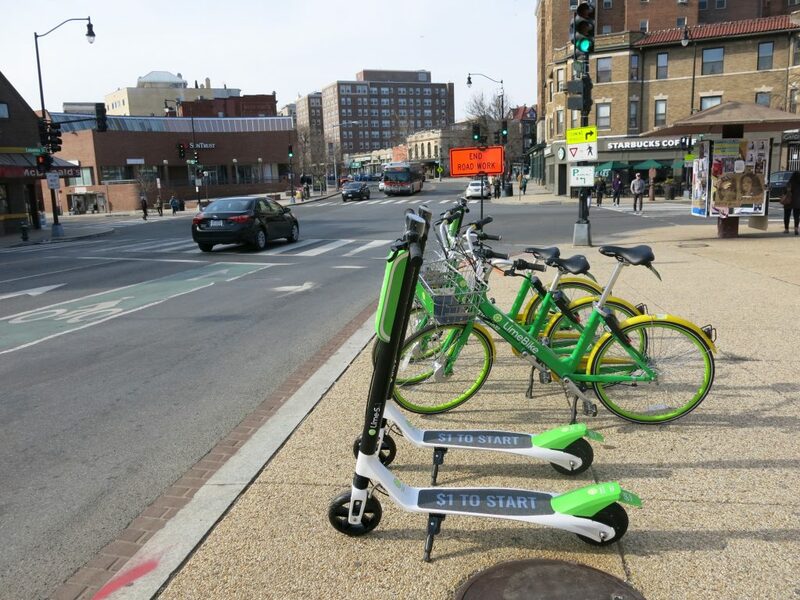 ), I saw a tweet a while ago saying that since the number of bikes and scooters are limited during DDOT’s Dockless Bikeshare Demonstration Period, that Lime decided to add more scooters since they were so popular. Since they added more scooters they had to reduce the number of bikes. 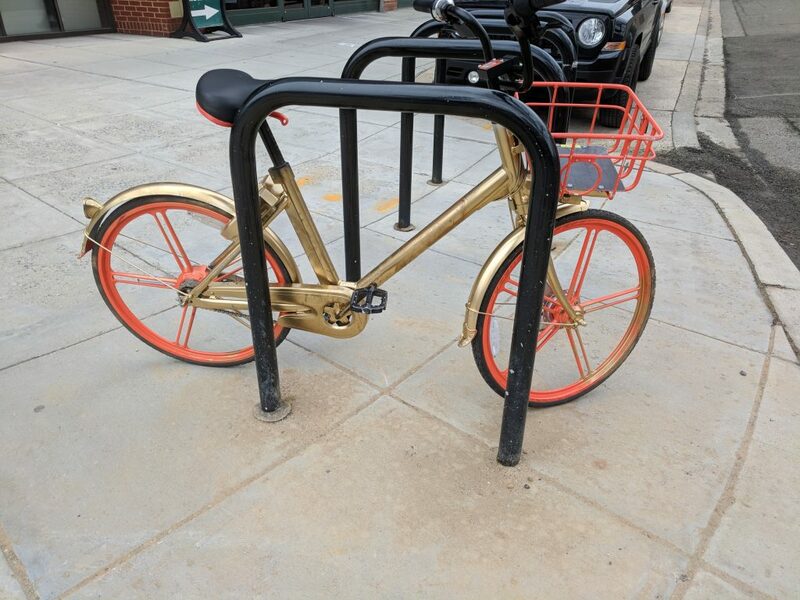 Have others noticed a scarcity of the dockless bikes? What about the other companies? 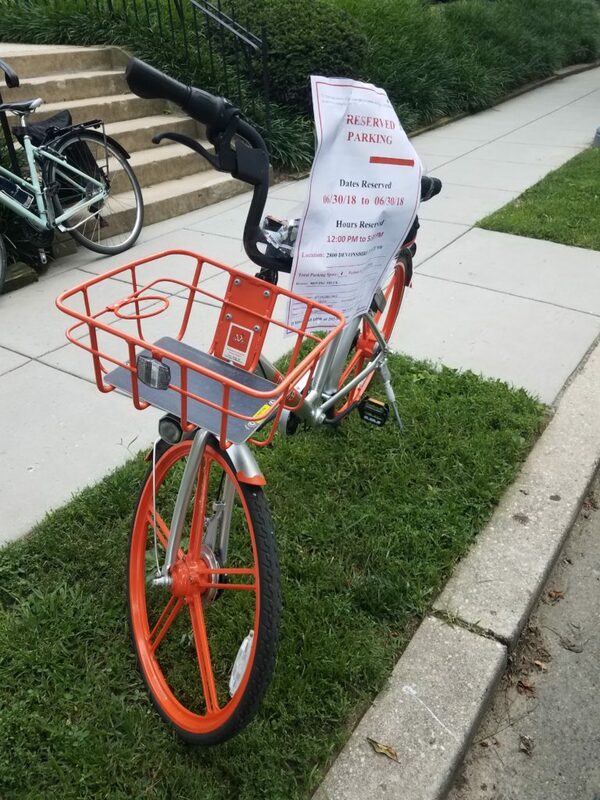 “The District Department of Transportation (DDOT) launched a new survey to get feedback about the dockless vehicle demonstration project that is currently being piloted in the District. 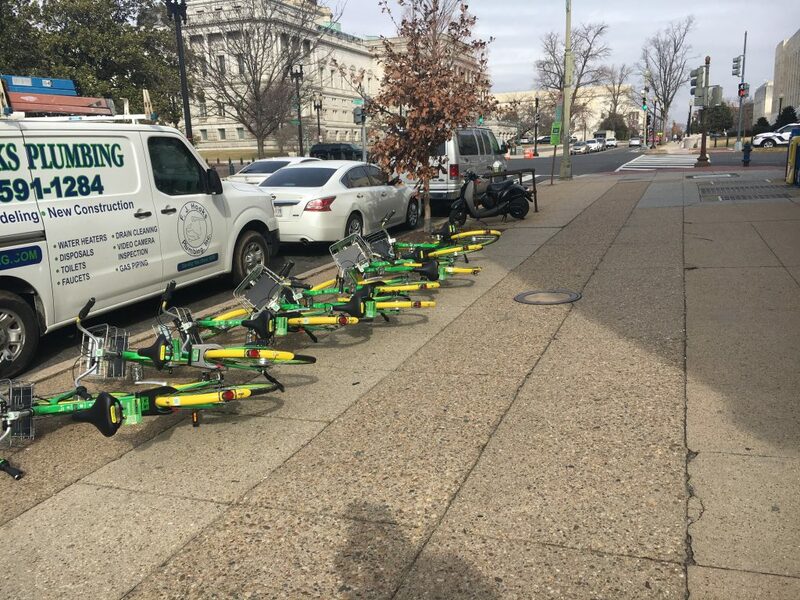 “The District Department of Transportation today announced it will extend the Dockless Demonstration Project. 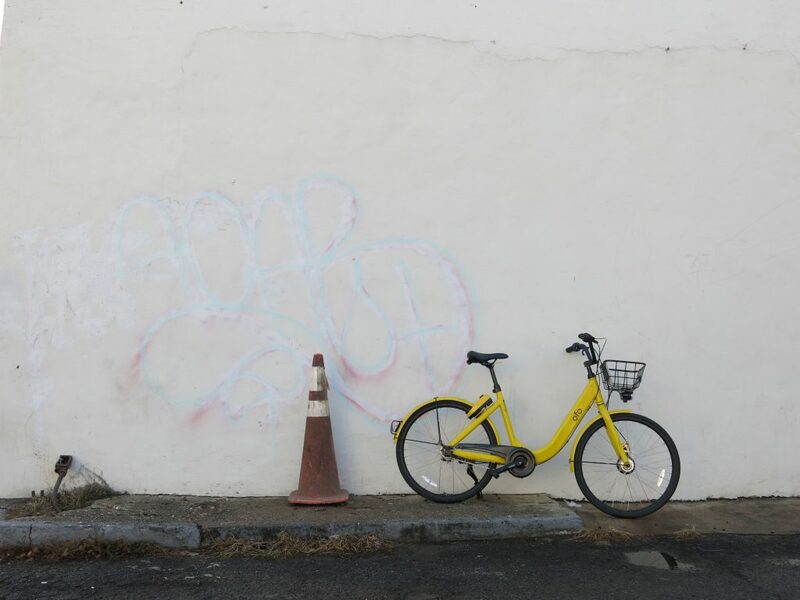 The pilot, which began in September 2017, will run through the month of August, allowing DDOT to continue to evaluate the effectiveness of the program and design dockless bikeshare management policies. 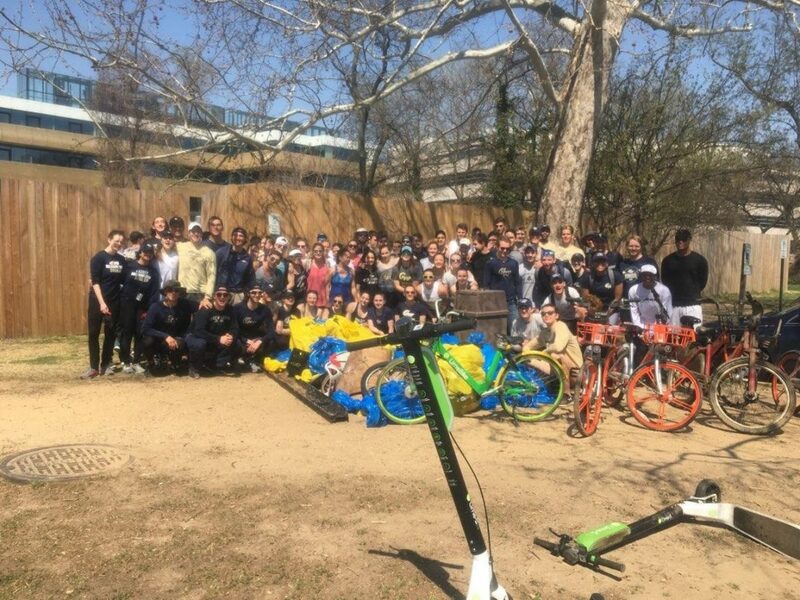 “It’s clear to us; the new dockless bike-shares are finding their way into Rock Creek more often than the fully dockable Capital Bikeshares. We’re generally pro-biking here at Rock Creek Conservancy. So, we find ourselves faced with a tricky question. Could dockless bikes bad for our favorite lands and waters? Rock Creek Conservancy volunteers spent the last weekend cleaning up Rock Creek during their Tenth Annual Extreme Cleanup. Volunteers worked at more than 40 sites throughout the Rock Creek watershed (with more than 60 throughout the entire month). 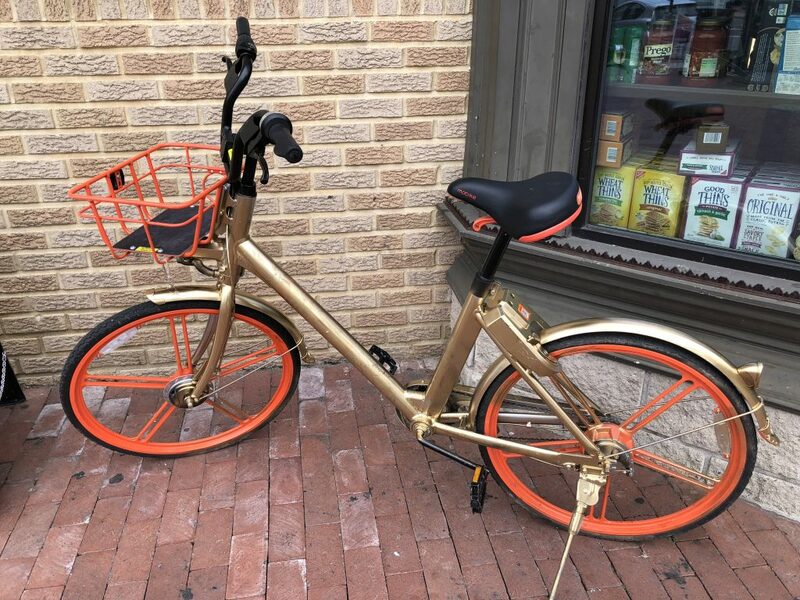 Like the White Whale of Brookland I had only heard whispers of the golden Ofo Mobike (even better!!) but that Gods have smiled kindly on us this week with not one but two sightings!! Thanks to Ricard for sending from Mount Pleasant (clearly they heard about Argyle’s new deli) and James from Van Ness. Unintended Consequences? 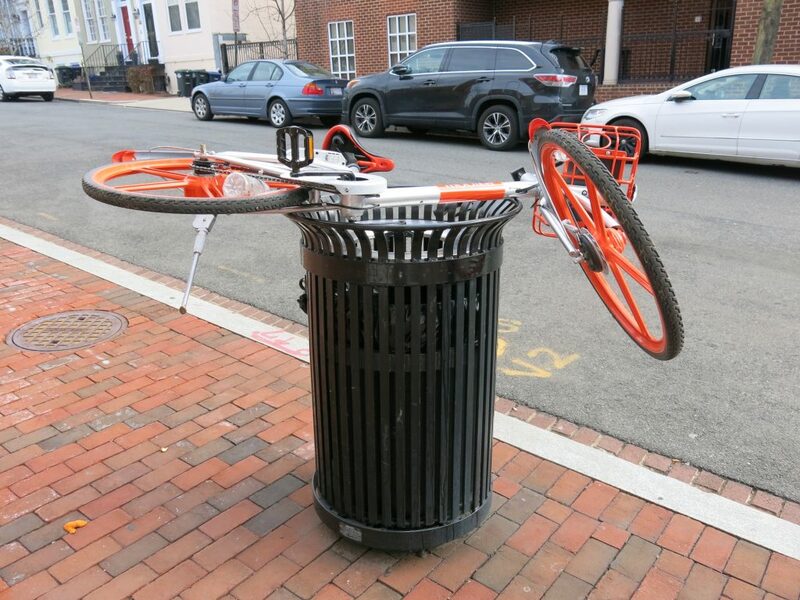 Are fewer personal bikes being stolen with the flood of (seemingly easily stolen) dockless bikes? Obviously this will only be anecdotal – but have you guys noticed a change? OK Things Seem To Be Getting Back to Normal in D.C. Nothing to see here, move along!! Thanks to Kelly for sending this brilliant shot from Columbia Heights.